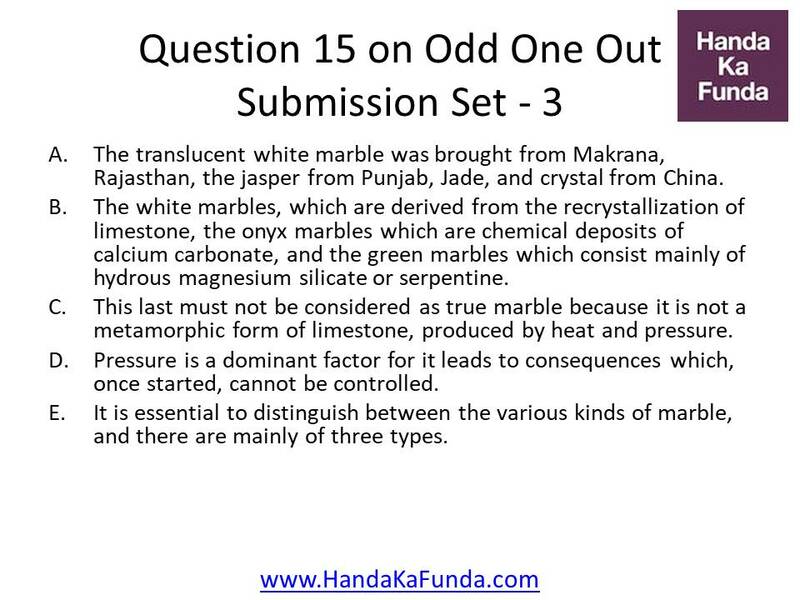 Odd One Out is one of the most important topics of CAT exam. 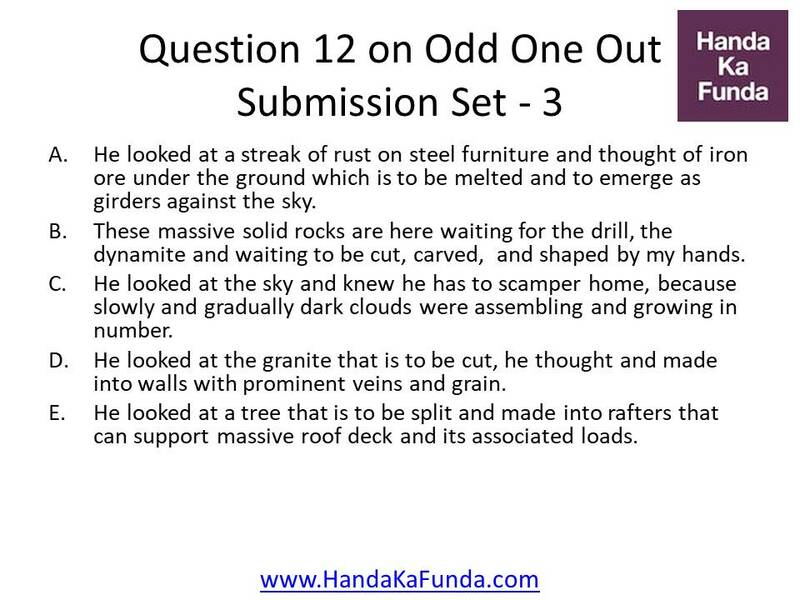 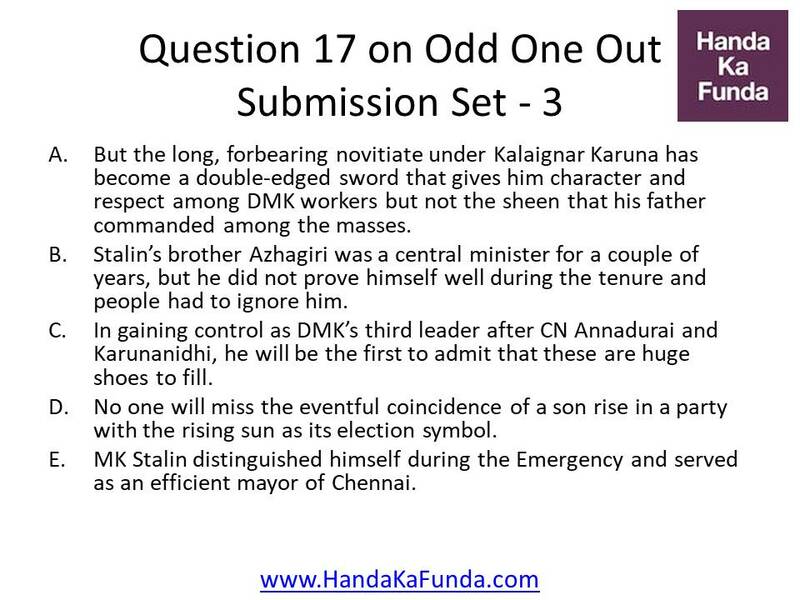 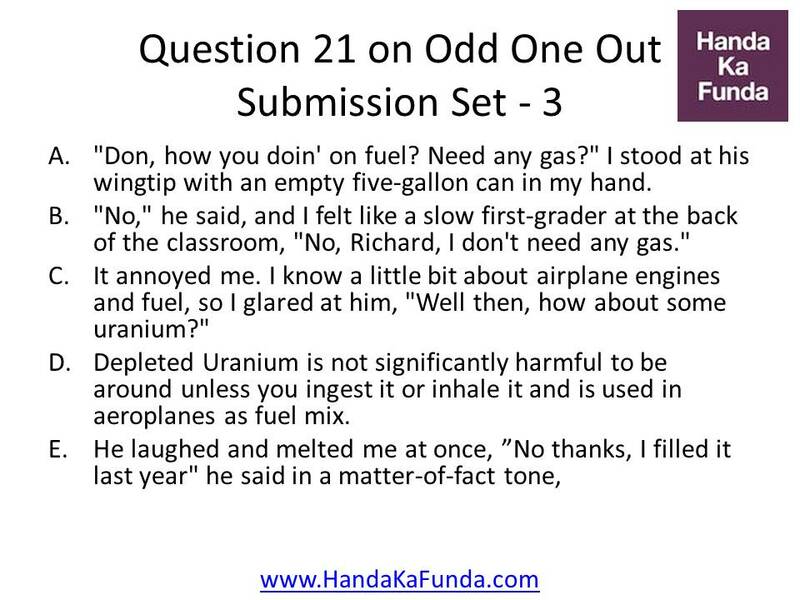 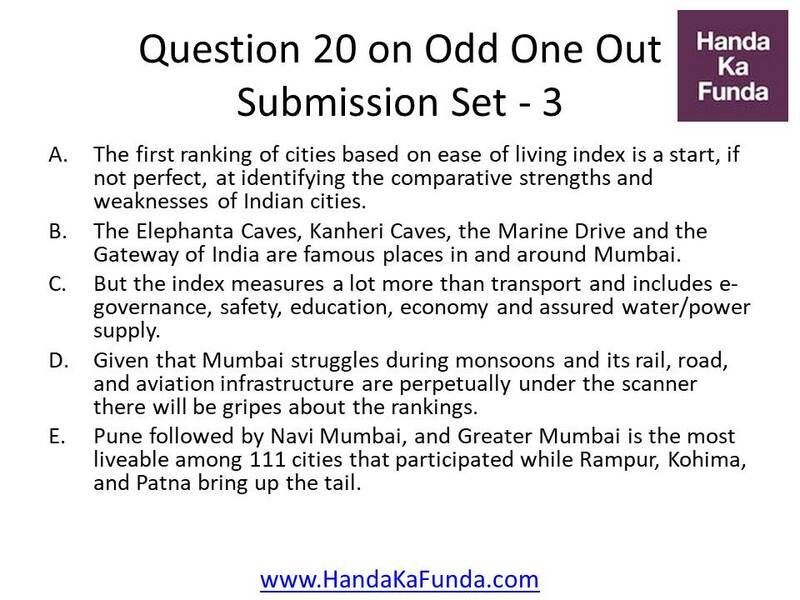 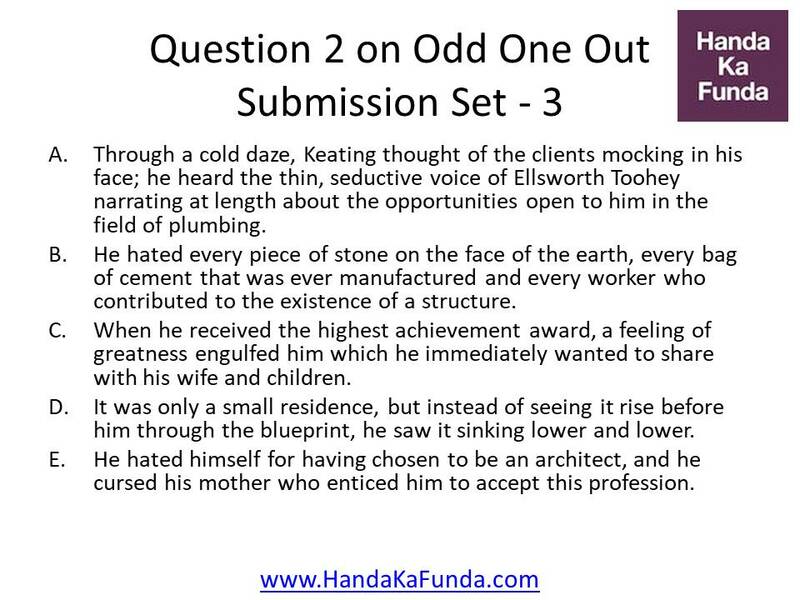 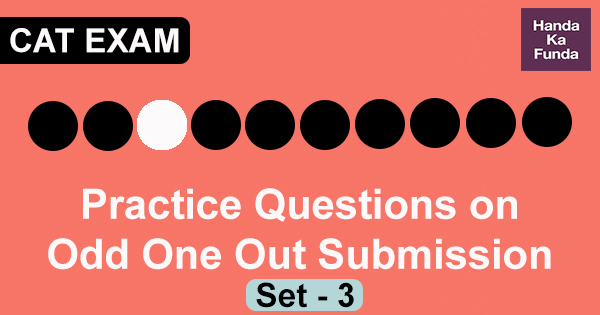 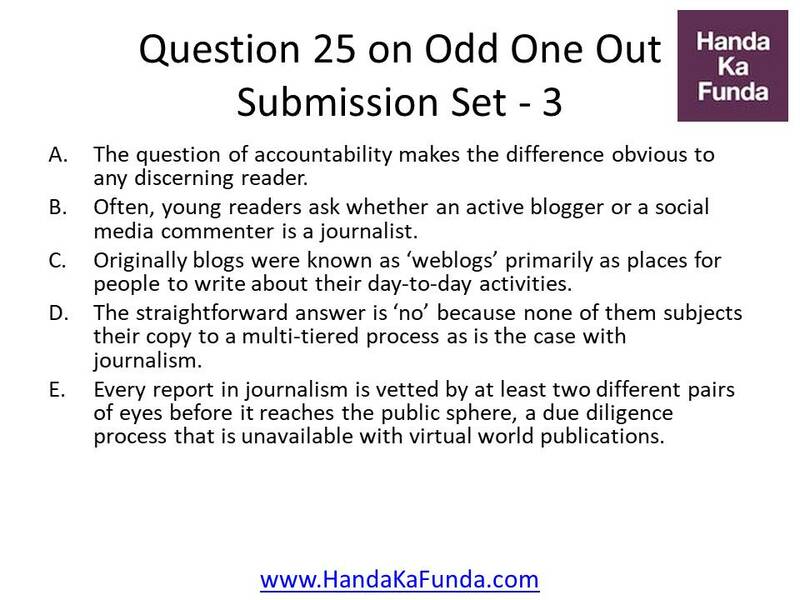 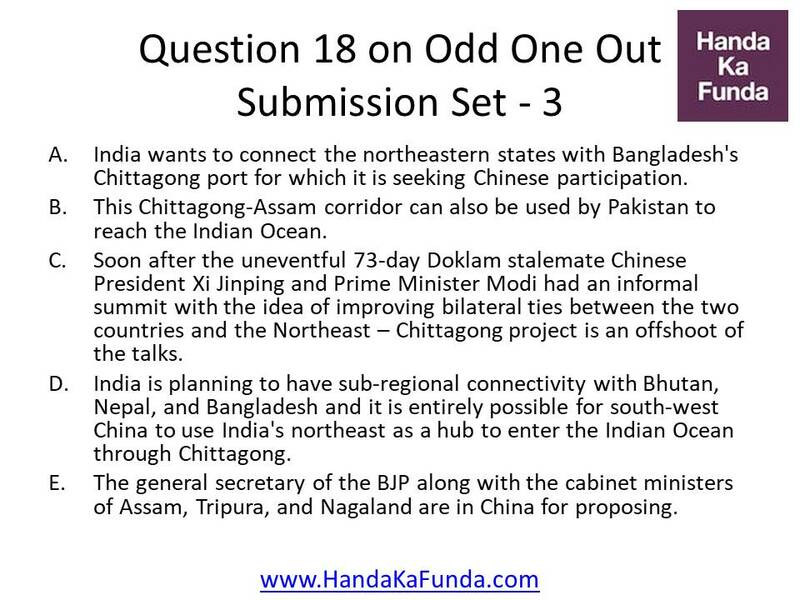 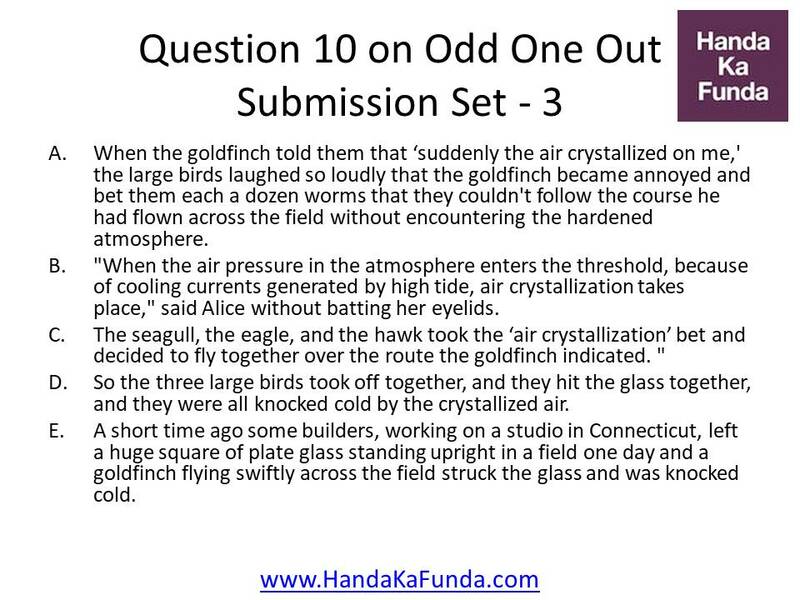 In the following post, we have given 25 questions of Odd One Out Set – 3 for practice. 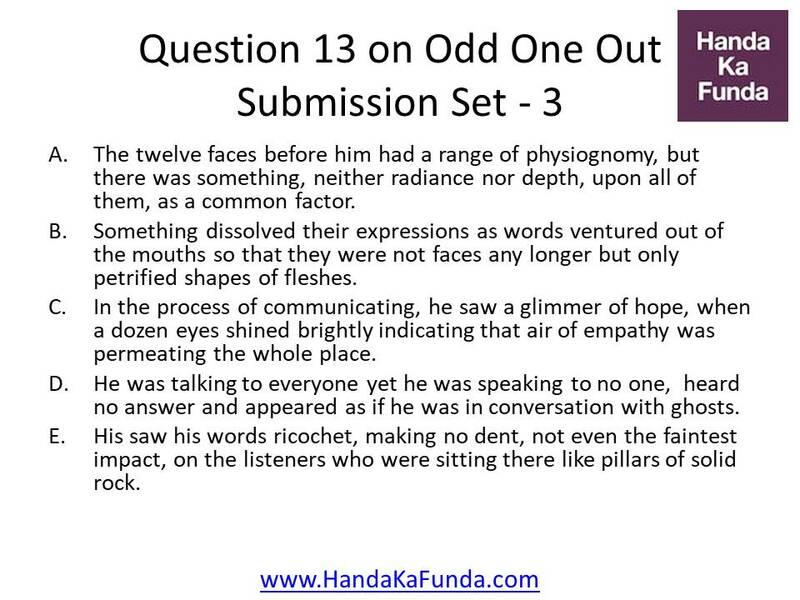 Verbal Ability – Odd One Out – Q4: Neuroscientists have just begun studying exercise's impact within brain cells — on the genes themselves. 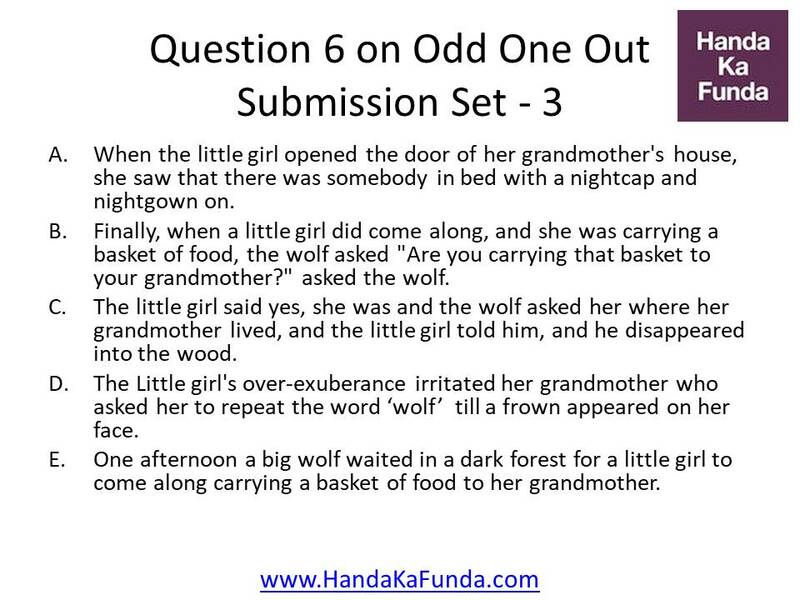 Verbal Ability – Odd One Out – Q5: People who study children's language spend a lot of time watching how babies react to the speech they hear around them.